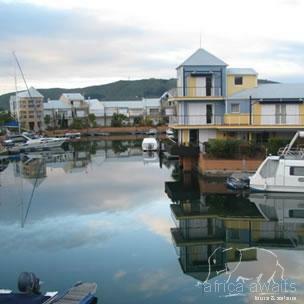 Within walking distance of the Knysna Quays Waterfront with its numerous shops, coffee shops and restaurants are beautiful holiday apartments in a quiet, secure complex. The centre of Knysna is less than a kilometre away and is an easy 5 minute walk. Just around the corner is the Knysna Yacht Club and the historic Steam Train terminus and turntable. Also within walking distance are three ferries that dock at and depart from the quayside at the waterfront to take you to the Heads and Featherbed. Private moorings offer you the convenience of stepping off your patio and onto your boat. The homes benefit from strict security and access-control, to give you peace of mind whilst on holiday. 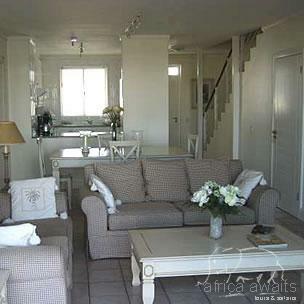 The holiday rental apartments range from one-roomed, two-sleeper apartments to three-bedroomed luxury duplexes. Each of the holiday apartments is beautifully decorated, fully furnished and equipped with quality appliances to make your holiday stress-free. The apartments' lounges and decks boast spectacular views onto the quiet waterways and the private moorings provide convenient access to your boat. 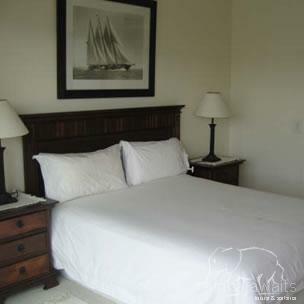 Rest assured that your every comfort has been catered for. With your holiday, safari or business trip from in to Knysna Quays in The Garden Route.